TMG is an American success story. We are an extremely capable team of professionals who travel the world to lead our partners on their journey to High Performance. Our “Why” is to help Leaders who WANT to lead, Lead High Performing Teams. We are able to live our “Why” because we are on the same journey as our partners and I absolutely believe that Perfect is possible. TMG’s key differentiator is that every day, we Play to Win!! and refuse to accept defeat. The application of the last value was the reason I decided to embark on the journey of owning a Small Business therefore, owning my own future. After spending 24 years in the U.S. Army, leading soldiers in combat, and another 5 in the corporate world, I had always been in a world where others controlled my destiny. I was required to play by someone else’s rules which resulted in decisions being made for and about me by people I did not know and I, therefore, did not have any control. On that day, I decided that it was time to take a bet on myself. I decided that my success or failure was going to be my sole responsibility. This was my motivation to “own my future” and the conception of TMG. It was also an “all in” commitment from the beginning that we would not fail. Starting TMG was a total commitment; not a “let’s see if this works out”. Early on, I understood that leading any Team and especially a small business meant that I had to lead by example which began by articulating my goals so my teammates would be able to connect, or not, from the very beginning. Our single biggest risk at TMG is having a teammate who does not apply the values everyday and is not committed to the success of our business. Establishing and communicating these goals is the essence of the Leader to Led Expectations and Goal Alignment so that our teammates know how to connect and support the overall mission of TMG. Be on a Team that enjoys and thrives on helping our partners solve difficult problems and improve their business. Many ask what does TMG stand for… in early 2002, as we were framing our business plan, what to call ourselves was a matter of much debate. We talked about naming it after the original three. Barto, Saylor, and Robertson. Our core services at the time and our very first project was to modernize the Welding Training program at Newport News Shipbuilding (NNS). We read that your name should describe what you do therefore the name Training Modernization Group. Over the years our services have nicely fit under the title Team Performance Improvement but TMG is becoming a powerful brand as our reputation and reach continue to grow. TMG is a virtual business with full malice and forethought. One of our core principles is the 98% rule; 98% of our intellectual and emotional energy must be focused on our partners because our services require extremely high touch time which means being with them, where they work, when they work. Also, one of the many frustrating and emotionally draining characteristics of our previous corporate experience was spending way, way too much time dealing with and mediating internal corporate turf and ego which was completely non-value added. We wanted to run a business where we poured that positive energy into our service delivery to our partners. That is how we make money and that is why we do what we do. We decided going to an office everyday would not accomplish our mission. To get the job done, we needed to be onsite with our partners, in their factories and operations, not ours. It also allows us to spend our overhead on buying the very best health and benefit packages for our team. 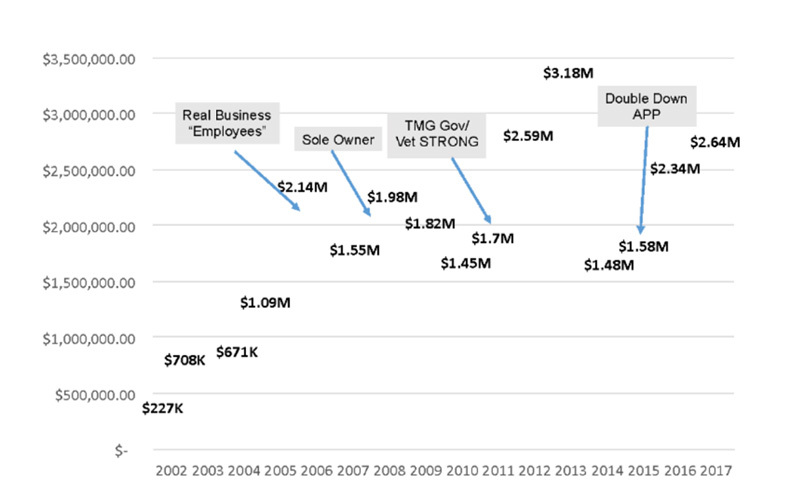 We value our team and, even today, no one employed at TMG is expected to spend $1 of their own money in support of the TMG mission. We stand behind our values and do not allow the team or their families to pay for benefits. TMG covers theses expenses, 100%. 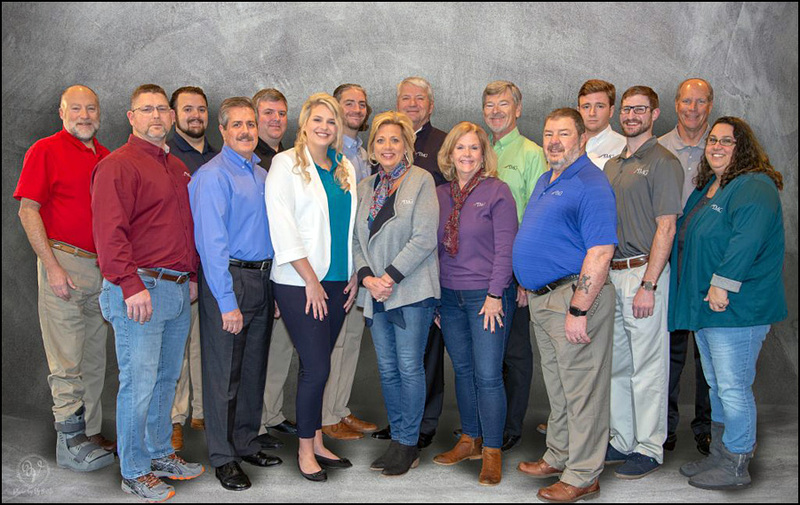 Since 2002, TMG has worked tirelessly to align leader behaviors and increase team engagement to enhance the business performance of our partners. We Win when our Partners Win!! Here is a snapshot of that history. June 30, 2002: Incorporated by the Commonwealth of Virginia as Training Modernization Group, Inc. with three partners, Joseph C. Barto, III, Linford T. Saylor, and Alan D. Robertson. The name is derived from our first project title which was the Welding Training Modernization Program at Newport News Shipbuilding. Our attorney Mike Ware advised us that our name should be descriptive of what we do so the name fit. It was immediately shortened to TMG. TMG received payment for its first invoice in August 2002, and has run a High Performing Company every month since then. 2003: Our first teammate, Kevin Jonas, joined TMG. Kevin developed our website and supported the NNS Welding Training Modernization Program. 2004: Bruce Warner joined TMG as a Program Manager for Instructional Systems Design and Training Development. TMG begins work on the Foreman Performance Improvement Program in support of Newport News Shipbuilding Steel Fabrication and Assembly Department. TMG begins work on the Production Trades Talent Acquisition and Retention Program at Newport News Shipbuilding. Newport News Shipbuilding sends the TMG partners to become Lean Certified. TMG begins work for its first non-NNS partner, ESCO Covington, a steel fabrication and manufacturing plant in Covington, KY. TMG worked to modernize their New Hire Welder Training, Talent Acquisition and Retention Program. 2005: TMG begins work in support of Army Fleet Support (AFS). Balanced Scorecard Development and Leader Performance Improvement System at Fort Rucker, Alabama. 2006: TMG is awarded a $1 Million Purchase Order from AFS to develop and deploy their Leader Performance Improvement System. TMG decides to hire full time employees providing teammates with the full range of employment benefits. 2007: TMG begins a 4-year partnership with Ball Metal Williamsburg. 2009: TMG Partners Alan D. Robertson and Linford T. Saylor depart TMG. Joseph C. Barto, III becomes sole owner. 2011: TMG and the Virginia Department of Veterans Services create a public-private partnership to create the Virginia Values Veterans initiative to train, educate and incentivize Virginia Employers on how to hire and retain America’s military veterans to improve the performance of their businesses. James M. Gill, Jr. and Joe Barto form TMG Government to build a business in support of the U.S. Army Total Army Distributed Learning Program. TMG Government is awarded its first purchase order as a Sub Contractor to Akima. 2012: TMG Government exceeds $1M in revenue in its first full year of operations. TMG begins partnership with Alcoa HOWMET to provide Six Sigma Green Belt Training and Project Support. 2013: TMG transitions Virginia Values Veterans to the Virginia Department of Veterans Affairs. 2014: TMG Government partner Jim Gill transitions TMG Government to Joe Barto. 2015: TMG begins 3-year partnership with Alcoa (now Arconic) Dover, New Jersey Castings and Alloy Operations. 2016 – 2018: TMG expands the Arconic Engines Partnership to include Hampton, VA; Dover, NJ; LaPorte, In; Whitehall, MI; and Wichita Falls, TX; Exeter, United Kingdom; Sheffield, United Kingdom; Rancho Cucamonga, CA; Fontana, CA; Rochester, NY; and Savannah, GA.
Attorney: Michael B. Ware; Schempf and Ware, LLC.